However, due to being purchased by the leading company of Japan "Toue Company", one third of the island has been changed into the extravagant amusement facility "Platinum Jail". Equipped with the latest cutting edge technology, Platinum Jail has gathered attention. On the other side, the islanders who became victims of forceful development are forced into the "Former Residents District", and have no choice but to carry out their lives in a place that is by no means prosperous. 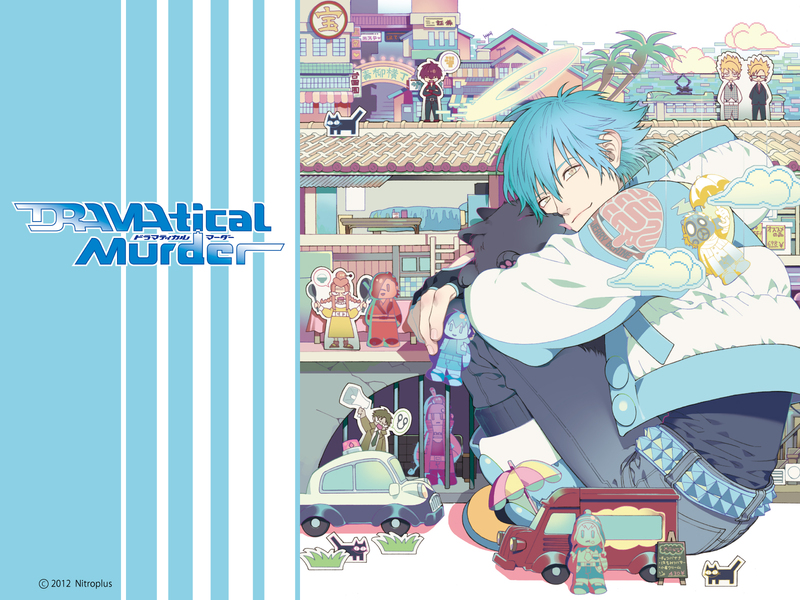 The protagonist Aoba spends his days working part-time at the junk shop "Heibon" inside the Former Residents District, living together with his grandmother Tae. Among the young people of the Former Residents District, a certain game has become popular. In "Liebstiez", teams are created and days of human-bullet turf wars unfold. On the other hand, "Rhyme" is an electronic brain online game using a virtual world as its setting which "Rhymers" are going crazy over. 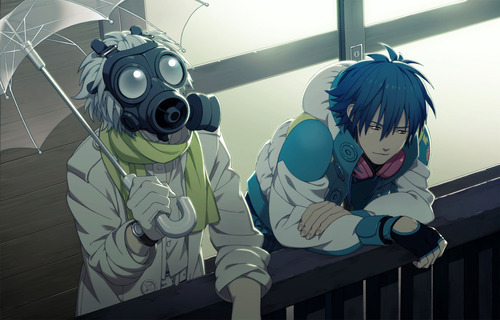 Aoba shows no interest in either one, thinking that it would be nice to just live peacefully with his grandmother. There are 5 routes (6 if you're playing the PSvita version), one of them (Ren) is only unlocked after beating the good ending of the first four routes, and the exclusive Re:Code Mizuki Route is only unlocked by beating the first 5 good ends AND Virus & Trip side route. The routes you complete can be seen on the main menu. 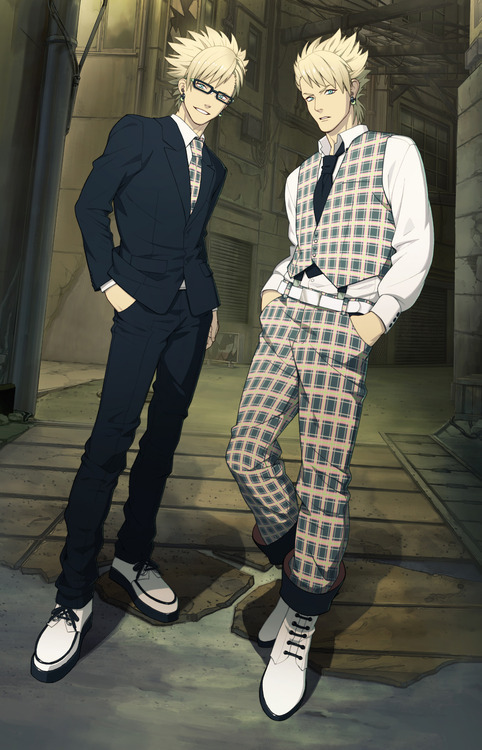 Initially, Aoba and Ren sprites will be walking along the logo. Clear more routes for more characters to join them, until the whole cast is present. And remember: a route does not count as cleared until after the credits. Quit during the credits and you must start from your last save for the game to register the cleared route. There's also an off-shot route during Ren's path, which is called the ViTri end. Also do the Bad Ends before the good endings. 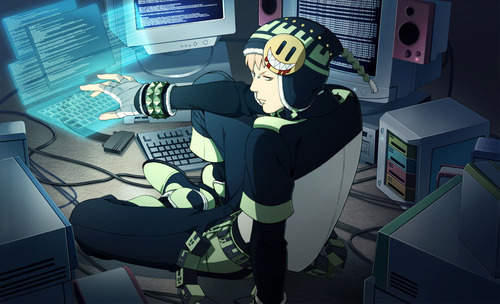 NOTE: Noiz is the only character to have two bad ends! ~Choice Recovery~ will cover up choices you didn't make during the walkthrough. 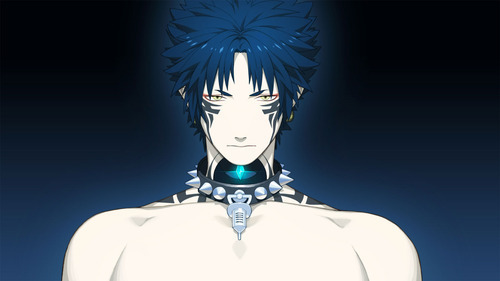 Do ~Choice Recovery~ before Ren's route if you want to unlock the final CG. Don't forget to read the notes left inside the spoiler boxes! NOTE: Choices 1-18 are common route choices. Choices 19-21 facilitate getting the Bad End, and the final choice will determine the Ending. Remember to always save before making a choice. 12)Did you really hear me? NOTE 1: Save here so you can get the Good End later. NOTE 2: Independent if you made good choices or not, only this choice matters for the ending. NOTE: Choices 1-18 are common route choices. Choices 19-21 facilitate getting the Good End, and the final choice will determine the Ending. Remember to always save before making a choice. 20)Are you afraid of something? NOTE: Choices 1-18 are common route choices. Choices 19-21 facilitate getting the Bad End, and the final choices (32-34) will determine the Ending. Remember to always save before making a choice. Depending whether or not you made good choices during the route, some final choices may or may not appear, but don't worry the answer to the questions will always be the same. NOTE 2: If you choose "Yes" here, you be send back to the title screen. NOTE 3: Save here so you can proceed to the other endings. NOTE: Choices 1-18 are common route choices. Choices 19-21 facilitate getting the Good End, and the final choices (32-36) will determine the Ending. Remember to always save before making a choice. Depending whether or not you made good choices during the route, some final choices may or may not appear, but don't worry the answer to the questions will always be the same. NOTE: Choices 1-18 are common route choices. Choices 19-21 facilitate getting the Bad End, and the final choices (27-29) will determine the Ending. Remember to always save before making a choice. NOTE: Choices 1-18 are common route choices. Choices 19-21 facilitate getting the Good End, and the final choices (27-29) will determine the Ending. Remember to always save before making a choice. NOTE: Choices 1-18 are common route choices. Choices 19-21 facilitate getting the Bad End, and the final choices (27-29) will determine the Ending. Remember to always save before making a choice. Depending whether or not you made good or bad choices, one of the final choices may or may not appear, but don't worry. NOTE 2: Only this Three final choices matter for the ending. NOTE 3: May not appear if you made good choices during the route. You need to beat the good endings of the above routes at least once. 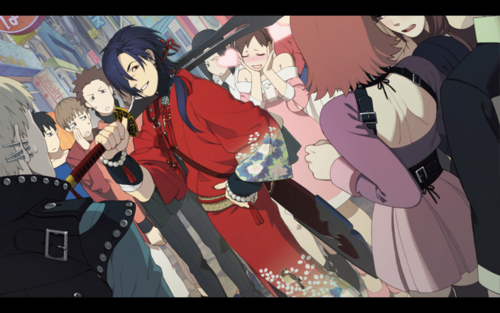 New choices will appear during the common route, so, start the game again and\or load a save file on the first choice. 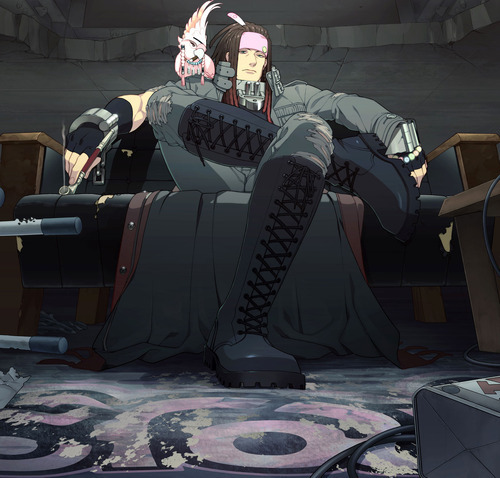 If you're going to get Ren's bad end it is recommended that you also get the ViTri end, since to get it, it is required to have bad choices during the route. NOTE: Choices 1-17 are common route choices. Choices 19-22 facilitate getting the Bad End, and the final choices (27-29) will determine the Ending. Remember to always save before making a choice. Depending whether or not you made good or bad choices, one of the final choices may or may not appear, but don't worry. If you have more good choices than bad, it's possible that some of the final choices don't appear, don't worry. NOTE 1: Save here so you can proceed to the Good Ending. NOTE 2: Select the opposite to trigger the ViTri end. NOTE 3: Only these choices determines the ending. NOTE: Choices 1-17 are common route choices. Choices 19-22 facilitate getting the Good End, and the final choices (27-29) will determine the Ending. Remember to always save before making a choice. Depending whether or not you made good or bad choices, one of the final choices may or may not appear, but don't worry. If you have more good choices than bad, it's possible that some of the final choices don't appear, don't worry. NOTE 2: If the majority of your choices were good, selecting the opposite option won't lead you to ViTri End, but actually lead to alternative scene that will proceed Ren's route normally, it is NOT required for the unlocking of the final CG, and only provides extra flavor text. NOTE: I recommend getting their ending while going for Ren's Bad End, since they require you to have negative points. NOTE: Select the opposite option to continue Ren's route. This will cover choices that you probably didn't make. This route is a PSvita exclusive, it can only be reached by beating the good ends of ALL of the above routes and seeing the ViTri off-shot. New choices will appear during the common route, so restart the game or load a save file. -He sounds fine to me. -Anyway, let’s just move on. -I don’t know Mizuki at all. NOTE:Other choices DON'T matter. Chose the opposite options at least ONCE, if you want the "Thank You" CG. 1)Think it doesn’t look bad on him. 2)Close the bag and leave it aside. 3)I want something similar to what Mizuki eats. This walkthrough is based on info attained on StrategyWiki and Nitro+Chiral Paths with some adjustments made by me. Other info from Shino's script translation and this Trophy Guide.